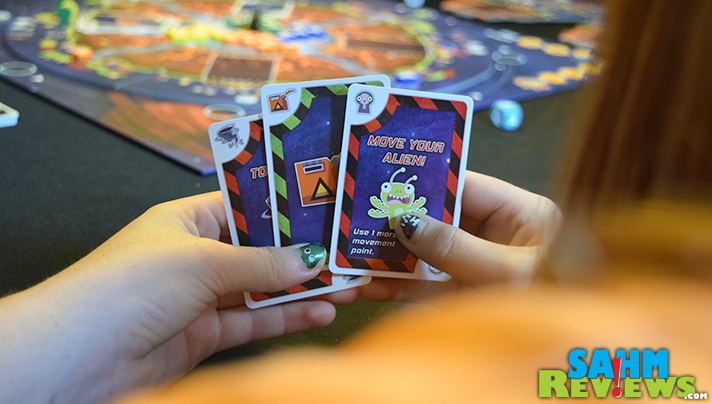 Home / Recreation / Games / What Do Aliens, Siblings and Gems Have in Common? 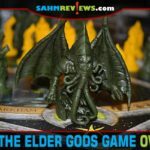 Up until now, SahmReviews has only covered two Kickstarter game campaigns while they were still live. One was last Summer when Wiggity Bang Games was working on their Alpha Bandits game. This past Spring Calliope Games ran a promotion that not only would deliver up to fourteen games to you for one price, it allowed backers to participate in the design process! So the fact that there’s only been two so far is not because we don’t believe in the concept of crowd funding. Quite the opposite – some of our favorite games over the past couple of years have sprung to life thanks to sites like Kickstarter and Indiegogo. But for every successful one, there are dozens that fail to fund and the game never sees the light of day. And we want you to be able to Buy-it-Now, not get your hopes up and never be able to play the game. Today I’m going to tell you about a company that already has two completed projects under their belt and is working furiously on their third. 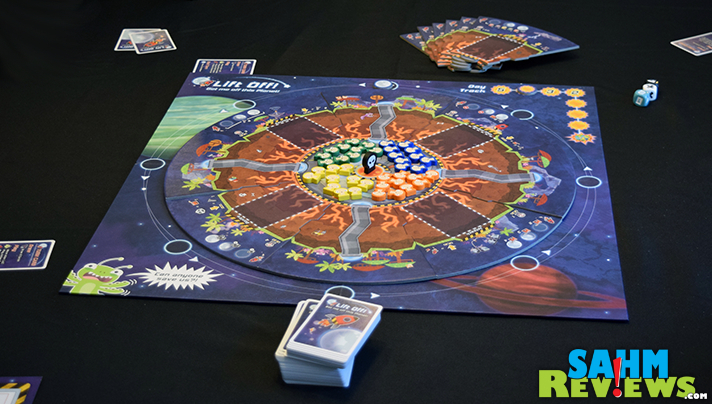 Pencil First Games‘ first success on Kickstarter was Lift Off! Get Me Off This Planet! Just in time for Summer vacation this year, backers began receiving their pre-ordered copies, and ever since I’ve seen photos and comments clogging up my Facebook feed. The consensus was unanimous, Lift Off! was a hit. In Lift Off! Get Me Off This Planet! you are an alien race living on a far away planet along with other aliens (your opponents). Sadly, your planet is about to explode and you need to escape. And so does everyone else. There are only a handful of ways to accomplish this, so you want to be the first to get your entire ‘family’ to the safety of space. 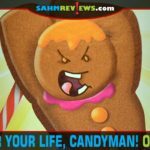 I’m not going to bore you with a full rule rundown, but I would like to point out some of the highlights of the game design and why I was impressed with this company’s first issue. 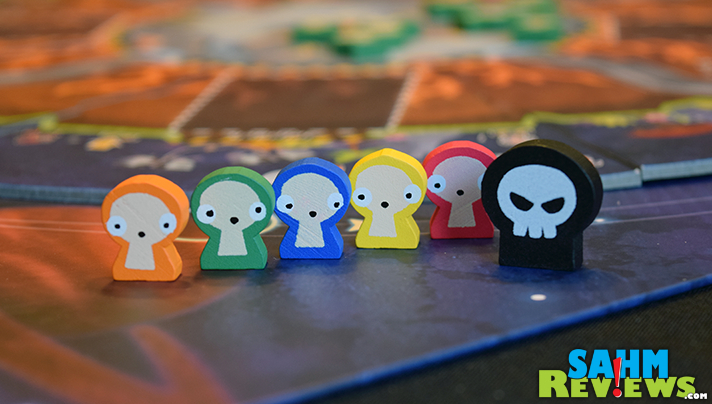 Look at these cute alien meeples. 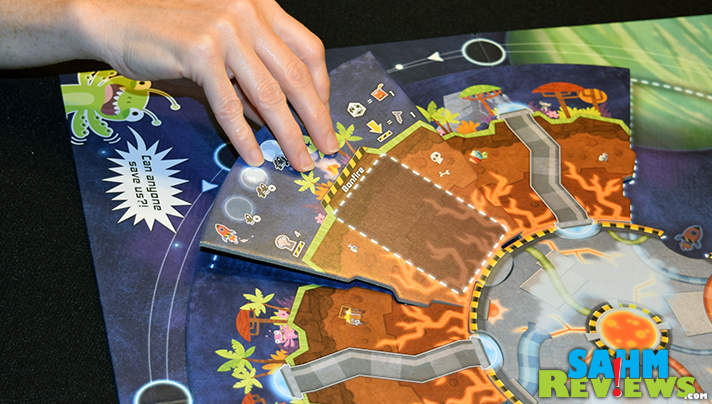 Elsewhere you might get a colored alien-shaped piece of wood to represent your character, but Pencil First Games went the extra mile with these cartoon-inspired printed pieces. The board also changes every time you play with the inclusion of extra sections with different escape routes, making every session unique. The artwork is absolutely perfect. Professional, yet not overdone. It would have been easy to take a futuristic fantasy route with this theme, but keeping it appealing to all ages will only help the game find a larger audience. And lastly the unique mechanic of a time-based (moon phases) variable that locks out escape routes according to whether the moon is full, new or somewhere in between, makes this a title that is unlike anything in our collection of over 750 games! After a successful first Kickstarter, what could Pencil First Games do as a follow-up? An expansion? More alien-themed games? Nope – a completely different direction with The Siblings Trouble. If there ever was a game that was made for a father to play with his kids, this is the one. More than a game, it is a story-telling adventure that everyone creates and participates in. But for the best description of the game and how it is played, you should hear it from the designer himself! I’m 100% positive you have never played a game like this, much less with your children. Over 650 lucky backers will receive their copies next Spring and it should be available at retail shortly thereafter. We’re anxiously looking forward to our retail copy for our collection! Which brings me to what I really wanted to show you today. I was approached by Eduardo Baraf (the designer) about his latest creation, GemPacked Cards. He proudly told me about the corresponding iOS app and upcoming Kickstarter campaign. And again, nothing like either of his previous two offerings. 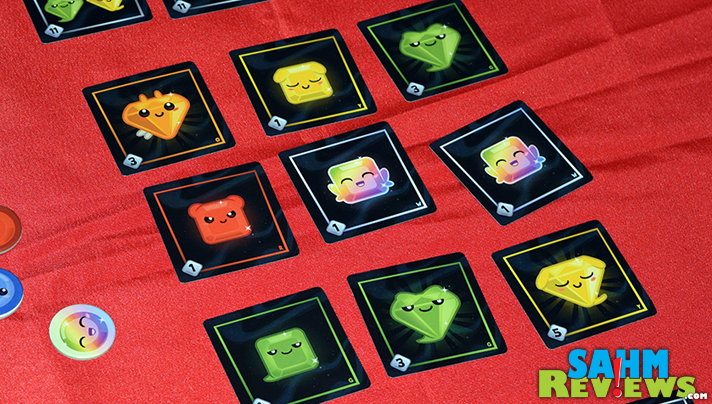 GemPacked Cards is a beautifully done quick card game with visuals that will appeal to all ages, and a level of strategy that adults will appreciate but won’t confuse younger players. Working from a board of nine cards containing diamonds and squares of various shades, players pay for them with Gemino Pips of corresponding colors or combine primary colors to purchase Gemino Squares of secondary colors (blue and yellow make green as an example). Those squares are collected and then also used to upgrade to Gemino Diamonds using the exact same purchasing mechanic (pay two for one) either with matching colors or combining to make a new color. 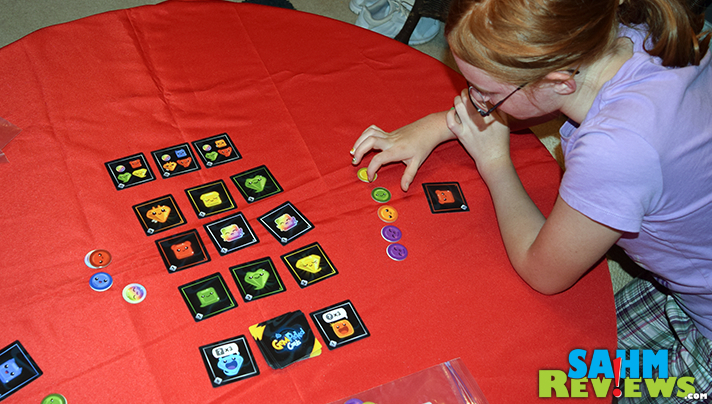 At the beginning of the game a number of goal cards were randomly dealt out that feature a recipe of gems and squares a player must collecting in order to earn the depicted number of victory points. 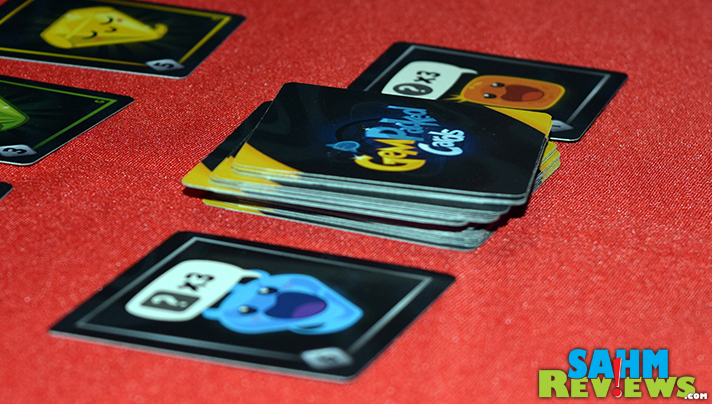 Each player has access to the same lot of cards, so everyone has to make note of what the other players are trying to collect so you can either beat them to it or prevent them from completing it at all. As a consolation, there are a couple other goal cards (Sun, Nova and Red Dwarf) that can be easily obtained simply by collecting one square or gem color (as opposed to the four required by the main goal cards). While not as lucrative as the others, they may be all you need to turn the tide if your main cards are a couple victory points shy of winning on their own. 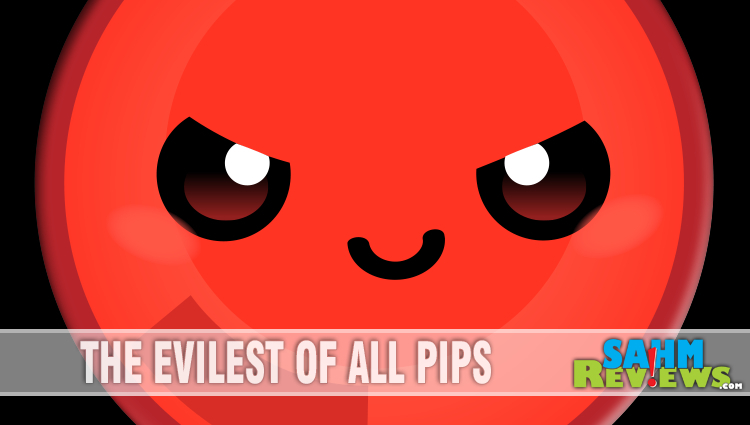 Every player draws two Gemino Pips from the supply at the beginning of every turn. Once the final pip has been drawn, one last turn is taken by everyone and then the points are tallied. Obviously, highest total wins. The game isn’t quite this straightforward thanks to the addition of Action Cards randomly seeded into the draw pile. Chomets (that’s his name, yes, he’s a comet), Asteroids and even the Sun might throw a wrench into your plans by giving your opponents the extra cards they need (none of the Action Cards are a penalty, they are just additional ways to gain cards or pips). Again, while I can give you a brief overview of how the game is player, I’m sure you’ll get a much better feel for it by watching the game’s designer show you exactly how it is done! And here is the part where you can get one of the first copies hot off the presses! Pencil First Games has their third Kickstarter campaign running RIGHT NOW! It has a very low goal of raising $12,000 and is well on their way to exceeding that number. The more people that pledge, the more stretch goals are unlocked that will benefit everyone! 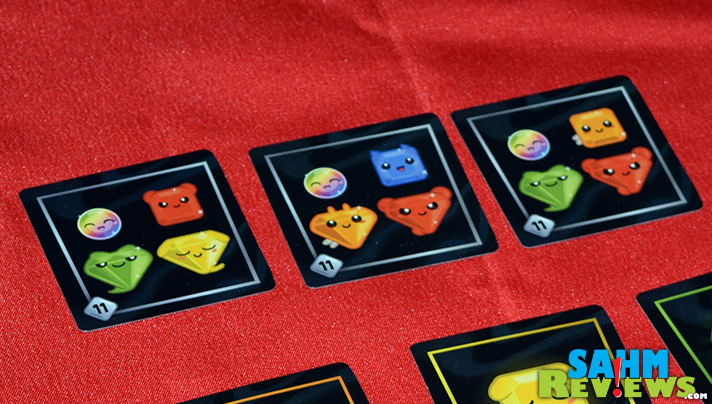 From upgraded card stock to a custom bag to store your pips, it won’t take too many people making the plunge to push them to these levels and beyond! Like all Kickstarter campaigns, it will take a little time to manufacture the games and receive them here in the U.S. You can expect your games to arrive sometime in late Spring/early Summer of next year – just in time for the kids to be out of school, in your hair and needing something to keep them occupied! Pledge your $30 now to save you a summer of headaches – think of how much you’ll save on Ibuprofen! 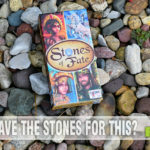 As I mentioned at the beginning, Kickstarter games aren’t something we always recommend, but this one is an exception and we’re proud for it to be only our third Kickstarter feature. Gems are not the only thing GemPacked Cards is packed full of. You’ll find great art, quick & easy play and some wonderful family fun time in this new title from Pencil First Games. Pencil First Games just added a new level to their Kickstarter, and one I’m sure you’ll want to take advantage of! For $90 (30% off retail) you can purchase all FOUR games issued, including GemPacked Cards and Murder of Crows (which I didn’t tell you about). PLUS, they will all be autographed by the designer! There are only 10 of these sets available, so get yours now! This does sound like an interesting game and not like any other I have ever heard of. I am sure that this kickstarter campaign will make and exceed what they need! 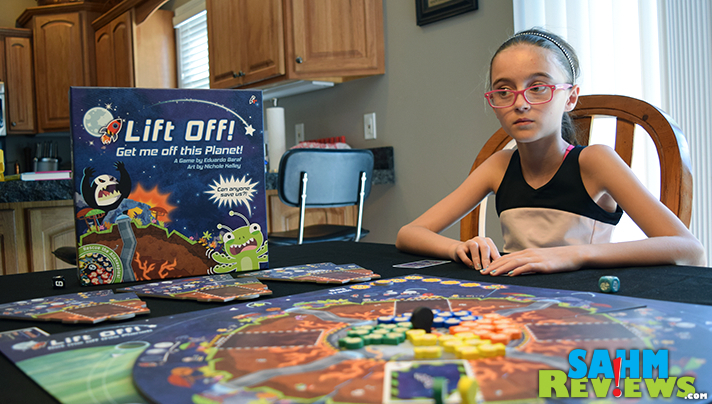 Lift Off looks like a fun game w/some replay value to it!! Thanks for the fabulous article, Scott! Great reviews! Really helped getting a better look at those games. I really love the graphics on the cards for this game. It has inviting illustrations and is appealing to the eye. This looks like a really fun game to play with the family. 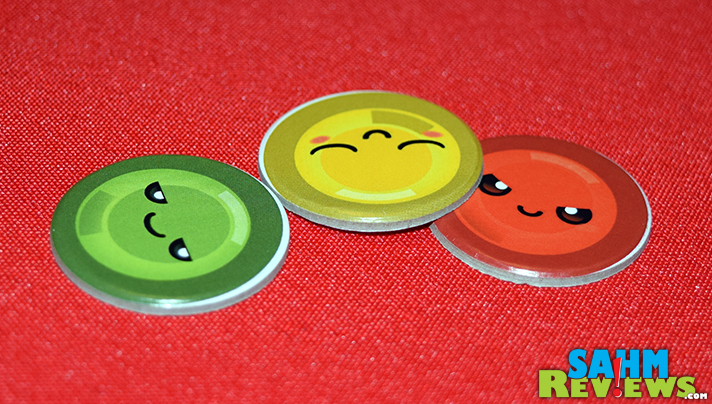 Those meeples really are the cutest things! I love that little extra detail. Looks like a really fun game! i love the graphics and it sounds interesting. My boys would surely love this. I think my boys would love this game too. I love your daughter’s facial expression in the photos. Looks like a great board game that can be enjoyed by all members of the family. Thanks for the review. Wow this looks like a cool game. I think my oldest would have a great time with this one. Could be really fun for family game night too! This will be perfect for our weekend family nights. I love how colorful the cards are. My kids will have so much fun with this. All the kind words and support on the Kickstarter appreciated!!!! Would love to make the game a reality. We’ll keep telling people about it, both online and in-person! It really is a fun ‘gateway’ game that needs to be played to appreciate! Means a ton, sir. I’ll keep pounding the pavement too. Love the comments here. You have an incredibly engaged audience! What a cute little game! Our board games are becoming boring. We need a new one like this. Those look like really fun games. Holidays are coming up very fast. Fun games! I think both my kids would enjoy this game. They are 5 and 7. My nephews would love this game. The graphics are so colorful, making them interested and focused for a long time! I agree–and it can be so hard to find things that hold my kids’ attention. This looks like a fun game. I think it’s something that my nephew would love. I haven’t played board games since I was a kid. This one looks like fun. I will have to check a few of these out! 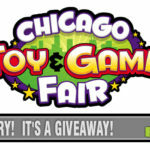 We are always looking for new games for family game nights! I have such a soft spot for wooden game pieces. That in and of itself (plus they’re colorful and cute) would get me to buy it. Looks like some interesting games. I loved playing board games as a kid. Sounds like a fun board game! The design is adorable too! This is something that’s perfect for a family night during the weekend. The design of the board is very engaging – I love how colorful it is. I think that it’s great that resources like Kickstarter can help entrepreneurs and game creatives get their products out there. I loved playing board games when I was growing up. They teach patience, critical thinking and playing with others! These look like so much fun for a family game night. Thank you for sharing! Amazing blog thanks for sharing admin. I get amazing games ideas from your blog thanks for sharing admin.